The aim of the study was to isolate the harmine alkaloids from the seeds of Peganum harmala (TAPH) and its cerebroprotective effect on cognitive deficit mice. The tested doses of TAPH were screened for Sodium nitrite induced hypoxia and Ethanol induced neurodegeneration using behavioral models. The TAPH was found to be non-neurotoxic and Psychoactive by preventing the motor impairment and increasing the locomotion activity of animals in Rota rod and Actophotometer respectively. TAPH (5, 2.5 and 1.25 mg kg-1 p.o.) significantly (p<0.001) protected the Sodium nitrite induced memory impairment by decreasing the time require to find the water bottle in special water bottle case model. In Elevated Plus Maze (EPM) and Passive Shock Avoidance paradigm (PSA) the TAPH shown improved acquisition and retention memory significantly (p<0.001) by decreasing the Transverse Latency Time (TLT) and increasing the Step Down Latency (SDL), respectively in dose dependent manner. The results were well supported by biochemical parameters, by inhibiting the Acetylcholinestrase (p<0.01) activity, increasing the GSH (p<0.001) level and decreasing the TBARS (p<0.001) level of whole brain. Moreover TAPH has shown the significant Monoamine oxidase-A (MAO-A) inhibition action (p<0.001), hence it reduces the metabolism of epinephrine, 5-HT and other monoamines and enhances the action of these neurotransmitters indirectly; this adrenergic system plays an important role in learning and memory. Further, TAPH (5 mg kg-1) protect the DNA fragmentation of frontotemporal cortex of the brain from hypoxic effect induced by Sodium nitrite in Gel Electrophoresis studies. The results were comparable to their respective standards. Hence, harmine alkaloids are potential enough to utilize in the management of Neurodegenerative disorders of the type Alzheimers diseases. The prevalence of dementia was 34.4 million in the year 2009 of the world population, of which 17-24 were Alzheimers disease (AD) (Wimo et al., 2010). According to Alzheimers Associations, the US prevalence was 3.5 million, over the next decades the prevalence will be increased as a consequence of increase in aging population and demographic transition in the developing countries. It is predicted that 66 million people worldwide would be affected by dementia in the year 2030 and 115 million in the year 2050 (ADI, 2010). The cure of neurological disorders viz, attention deficit and AD are still a challenged one in the field of medicine. A standard nootropic agent, Piracetam (Scheuer et al., 1999), Pramiracetam, aniracetam (Cumin et al., 1982) and acetylcholinesterase inhibitors such as, donepezil (Bullock, 2004) are being used to improve memory, mood and behavioural disorders. However, the resulting adverse effects associated with these agents have limited their use (Blazer et al., 1983; Rogers et al., 1998; Burns and OBrien, 2006). In the Indian subcontinent, the use of Ayurveda is the oldest medical science and its been practising since 12th century BC. Plants and phytochemicals are being used as a nootropic, improving the memory, antiamnesic, neuroprotective and in the treatment of other cognitive disorders. It is revealed that the plant origin alkaloids could slow down the progress of AD. Peganum harmala L. belongs to a family Zygophyllaceae and commonly known as Harmala or Syrian rue. The synonym of the plant in difference languages is different in Hindi: Harmal, Kannada: Seeme goranti etc. It is being used as a traditional medicine in the treatment of many more diseases/disorders since ancient centuries; it possesses antioxidative (Tse et al., 1991) antinociceptive, analgesic and anti-inflammatory properties (Monsef et al., 2004). Harmal content of this plant enhances the action of epinephrine (Sastry, 2007) and β-carboline alkaloids isolated from this plant are reported to possess antidepressant (Farzin and Mansouri, 2006). The alkaloids from Peganum harmala have been proved for monoamino oxidase inhibititary (MAO-I) action (Babar and Qureshi, 1995), which could stimulate the central nervous system by inhibiting the metabolism of serotonin and other monoamine. This inhibition of break-down of serotonin in the human body makes MAO-I effective antidepressants. In warm blooded animals, seeds as well as the Harmal alkaloids cause a primary stimulation of motor tracts of the cerebrum and spinal cord, giving rise to tremors and clonic convulsions. Harman alkanoids and their derivatives have been suggested for use as protozoicidal agents, coronary dilators, ecbolics and used in the treatment of nervous diseases like post-encephalitic and neuralgia conditions (Yoganarasimhan, 1996). The harmal seeds have a long history of psychoactive effect and other purposes. Depends up on the immense medicinal properties of Peganum harmala by literature, this present study was under taken to explore the utility of Peganum harmala as a traditional medicine for the treatment of cognitive disorders. Chemicals: The seeds of Peganum harmala obtained from Gadghil shop, a traditional herbal product supplier, Belgaum, Karnataka, India. Piracetam was obtained as gift sample from Elite pharmaceuticals, Gujarat. Sodium nitrite purchased from Loba Chemie, Mumbai, India. 5,5-dithiobis (2-nitro benzoic acid) (DTNB), Trichloro-Acetic Acid (TCA), acetylthiocholine iodide and Thio-Barbituric Acid (TBA) were procured from Hi media and Sigma Aldrich, Bangalore, India. Other chemicals used were of analytical grade. Animals: All the experiments were carried out with young 3 months old Swiss Albino Mice of 22-28 g after approval from the Institutional Animal Ethical Committee (Approval Number: SETCP/IAEC/ 2008-2009/242). Animals were kept in the animal house of S.E.Ts College of Pharmacy, Dharwad, India, under controlled conditions of temperature (23±2°C), humidity (50±5%) and 12 h light-dark cycle. Animals were fed with rat diet pellet procured from venkateshwara enterprises, Bangalore and water ad libitum. All the animals were acclimatized for seven days before to start the experimental studies. Plant material: The obtained seeds of Peganum harmala were authenticated by qualified taxonomist Dr. S.S. Hebbar, Department of Botany, Karnataka University Dharwad (KUD) Dharwad. A voucher specimen No. SETCPD/Ph.cog/herb/2008/11 is retained in our department for further reference. Isolation of total alkaloid from Seed of Peganum harmala: The processed dry seeds of Syrian rue 296 g were grinded and then were extracted with 80% ethanol for 24 h in a continuous extraction using Soxhlet apparatus. The extract was filtered and ethanol was evaporated on a rotator evaporator under vacuum at a temperature of 45°C to a small volume. Then a small amount of NH3 (25%) was added to make pH of 9. Subsequently, 296 mL of chloroform was added and slowly shake for 10 min until all alkaloids separated from water and enter to the chloroform phase. This was repeated for three times and then total chloroform phase was evaporated, yielding a total alkaloid extract of 31.11 g (10.51%) (Monsef et al., 2004). Then the Total Alkaloid from Peganum harmala (TAPH) was subjected to qualitative chemical tests to confirm the presence of alkaloids (Table 1). Acute oral toxicity study: Study was performed according to OECD (423) guidelines, Annex 2. Male Swiss mice were selected by random sampling technique. The animals were fasted for 4 h with free access of water. TAPH extract was administered orally at a dose of 5 mg kg-1 initially and mortality if any was observed for 72 h. If mortality was observed in two out of three animals, then the dose administered was considered as toxic dose. However, if the mortality was observed in only one animal out of three animals then the same dose was repeated again to confirm the toxic effect. If no mortality was observed, then only higher (50, 300, 2000 mg kg-1) dose of TAPH extract were employed for further toxicity studies. The animals were observed for toxic symptoms such as behavioral changes, locomotion, convulsions and mortality for 72 h.
Based on the results of acute toxicity studies, it was found that TAPH produced severe convulsion, but no mortality were seen at a dose of 300 mg kg-1 b.w. p.o. These severe excitotoxic convulsive effects of TAPH were consistent with the previous literature findings, in which the warm blooded animals, seeds as well as the Harmal alkaloids cause a primary stimulation of the motor tracts of the cerebrum and spinal cord, giving rise to tremors and clonic convulsions (Yoganarasimhan, 1996). Hence 50 mg kg-1 was considered as a safe dose and 1/10th of this safe dose was selected as therapeutic dose. To study the dose dependent effect of TAPH for its cerebroprotective action, three doses were selected as a TAPH 5, 2.5 and 1.25 mg kg-1., b.wt., p.o. Preparation of doses: A daily and freshly prepared (in distilled water) doses of total alkaloid extract of Peganum harmala (TAPH) (5, 2.5 and 1.25 mg kg-1 b.w. p.o.) were given to the different groups of experimental animals. A standard drug Piracetam was prepared by dissolving in distilled water, Sodium nitrite 75 mg kg-1 i.p. in normal saline and ethanol (50%) 2.5 g kg-1 i.p in distilled water and was given to their respective groups. Effect of TAPH on motor coordination and neurotoxicity Rota-rod Apparatus: The motor coordination was assessed using digital Rota rod (Inco-Ambala, India) apparatus. Mice were trained by placing them on a rotating rod (20 rpm), twice daily for three consecutive days before to conduct the experiment, thirty min interval was kept between the two trails. Only those mice which have demonstrated their ability to remain on the rotating rod for at least 2 min were selected for experimental study, motor co-ordination was considered to be impaired if the animal fell-off from the rotating-rod within 9 sec. (Dhwaj and Singh, 2011). These selected mice were divided into five groups (Table 2) with 6 animals in each group and after one hour of administration of TAPH 5, 2.5 and 1.25 mg kg-1, p.o. and standard drugs, mice were placed on the rotating rod to test for their motor coordination and to record number of falls per 5 min of time. The difference between mean numbers of falls between the groups was considered for evaluation of motor impairment. Diazepam (2 mg kg-1 i.p.) was used as reference standard (Jain et al., 2003). Effect of TAPH for psychoactive and CNS stimulant activity by actophotometer: The locomotor activity (horizontal activity) was measured using a digital actophotometer (Space-lab, India). Mice were divided into different experimental groups (Table 2) and gave their respective test/standard drugs. Each mouse was placed individually in the actophotometer for a period of 5 min and basal activity score was obtained after one hour administration of test/standard doses. The results were reported as mean change in the locomotion activity. Diazepam (2 mg kg-1 i.p.) preparation was used as reference standard (Turner, 1972). Effect of TAPH on sodium nitrite intoxication by special two chambered water cage box: Spatial two-chambered cage was used with the dimension 16 inch length, 11 inch breadth and 5 inch height. A partition placed at a distance of 6 inches from one of the end of cage; divide the cage into a smaller and larger chamber. Mice were randomly divided into 5 groups of 6 each, in which group 1 served as a normal control; group 2, 3 and 4 received TAPH (5, 2.5 and 1.25 mg kg-1 p.o. ); group 5 served as a standard, received Piracetam (400 mg kg-1 p.o. ), respectively. A water feeding bottle was kept in smaller chamber; the animals were water deprivation for 24 h. After 90 min of treatment on 15th day, the animals were placed in the larger chamber and allowed to explore the cage. Once the water deprived animal locate the bottle, it was allowed to drink the water for 30 sec, the time required to locate the water bottle was noted as 1st retention time. Immediately after 1st retention test before the animal being placed in home cage all the animals except group 1 were injected with sodium nitrite (75 mg kg-1 i.p.). After 24 h later the animals were again placed in the larger chamber of two-chamber cage. The time required to locate the water bottle was noted as a day second reading (2nd retention test). But this time the water bottle was kept empty. Immediately after 2nd retention test the whole brain of mice were dissected out and processed for MAO-A assay and estimation (Martinez et al., 1979; Schindler et al., 1994). Effect of TAPH on ethanol induced neurodegeneration on EPM and PSA: In the present investigation the mice were divided into different groups for various interoceptive and exteroceptive behavioural memory models, each group comprised of a minimum of six animals. A group 1: served as a young normal received Distilled Water (DW) in the dose of 10 mL kg-1 b.wt. orally. Group 2: as a negative standard control received only ethanol at a dose of 2.5 g kg-1, i.p., Group 3: piracetam per se (400 mg kg-1, p.o. ), Group 4: TAPH per se 5 mg kg-1 p.o., group 5: received Piracetam and ethanol, group 6, 7 and 8: received daily doses of TAPH (5, 2.5 and 1.25 mg kg-1 p.o.) and ethanol for 15 days. After 90 min of the administration of the different doses of TAPH on 15th day, amnesia was induced in young animals by injecting ethanol (2.5 g kg-1, i.p.) to all the groups of mice except group 1, 3 and 4. Then mice were exposed to the training session after 30 min of ethanol injection using elevated plus maze and passive shock avoidance apparatus (step down). Retention memory was recorded after 24 h on 16th day, immediately after behavioral testing on 16th day whole brain was dissected out and utilized for Acetylcholinestrease, GSH and TBARS estimations. Elevated plus maze (EPM): EPM served as the exteroceptive behavioral model to evaluate short-term memory in mice. Briefly, EPM for mice consisted of two open arms (16x5 cm) and two covered arms (16x5x12 cm) extended from a central platform (5x5 cm) and the maze was elevated to a height of 25 cm from the floor. On the first day (i.e., 15th day of TAPH administration), each mouse was placed at the end of an open arm, facing away from the central platform to measure the acquisition Transfer Latency (TL) time. TL was defined as the time (in seconds) taken by the animal to move from the open arm into one of the covered arms with all its four legs. The mouse was allowed to explore the maze for another 2 min and then returned to its home cage. Retention of this learned task (memory) was examined 24 h after the acquisition trial. Significant reduction in TL value indicated improvement of memory (Parle and Singh, 2004; Vasudevan and Parle, 2006). Passive shock avoidance (step down) paradigm: Passive avoidance behavior based on negative reinforcement was recorded to examine the long-term memory. The apparatus consisted of a box (27x27x27 cm) having three walls of wood and one wall of Plexiglas, featuring a grid floor (3 mm stainless steel rods set 8 mm apart), with a wooden platform (10x7x1.7 cm) in the centre of the grid floor. The box was illuminated with a 15 W bulb during the experimental period. Electric shock (20 VAC) was delivered to the grid floor. Each mouse was gently placed on the wooden platform set in the centre of the grid floor. When the mouse stepped down and placed all its paws on the grid floor, shocks were delivered for 5 sec and the Step-Down Latency (SDL) was recorded. SDL was defined as the time taken by the mouse to step down from wooden platform to grid floor with its entire paw on the grid floor. Retention was tested after 24 h in a similar manner, except that the electric shocks were not applied to the grid floor, with an upper cut-off time of 180 sec (Hanumanthacahar and Milind, 2005; Joshi and Parle, 2006). Determination of reduced glutathione (GSH): The animals were sacrificed; whole brain was dissected out and homogenized in phosphate buffer pH 8, 10% w/v. The homogenates were centrifuged at 10000X g at 4°C for 20 min using Remi C-24 high speed cooling centrifuge. Equal volumes of tissue homogenate (supernatant) and 20% trichloroacetic acid were mixed. The precipitated fraction was centrifuged and to 0.25 mL of supernatant, 2 mL of 0.6 mM 5, 5-dithiobis (2-nitro benzoic acid) reagent was added. The final volume was made up to 3 mL with phosphate buffer (0.2M, pH 8.0). The colour developed was read at 412 nm against reagent blank. The values were expressed in μMoles/litre (Moron et al., 1979). Extinction co-efficient for GSH: 13.6 x 103 M-1 cm-1 (Yousuf et al., 2005). Determination of thio barbituric acid reactive substances (TBARS): The animals were sacrificed; whole brain was dissected out and homogenized in phosphate buffer pH 8, 10% w/v. The homogenates were centrifuged at 10000X g at 4°C for 20 min using Remi C-24 high speed cooling centrifuge. A 2.0 mL of the tissue homogenate (supernatant) was added to 2 mL of freshly prepared 10% w/v trichloroacetic acid (TCA) and the mixture was allowed to stand in an ice bath for 15 min. After 15 min, the precipitate was separated by centrifugation and 2.0 mL of clear supernatant solution was mixed with 2 mL of freshly prepared 0.67% Thiobarbituric Acid (TBA). The resulting solution was heated in a boiling water bath for 10 min. It was then immediately cooled in an ice bath for 5 min. The color developed was measured at 532 nm against reagent blank. The values were expressed in μMoles/liter (Slater and Sawyer, 1971). Extinction co-efficient for TBARS: 1.56 x 105 M-1 cm-1 (Yousuf et al., 2005). Assay of monoamine oxidase-A (MAO-A): The collected brain samples were washed with cold 0.25 M sucrose, 0.1 M Tris, 0.02 M EDTA buffer (pH 7.4) and weighed. The whole procedure of brain isolation was completed within five minutes. The rat brain mitochondrial fraction was prepared following the procedure of (Schurr and Livne, 1976). The MAO activity was accessed using spectrophotometer. Briefly, the buffer washed brain sample was homogenized in 9 volumes of cold 0.25 M sucrose, 0.1 M Tris, 0.02 M EDTA buffer (pH 7.4) and centrifuged twice at 800 g for 10 min at 4°C in cooling centrifuge (Remi Instruments, Mumbai). The pellets were discarded and the supernatant was then centrifuged at 12000 g for 20 min. The precipitates were washed twice with about 100 mL of sucrose-Tris-EDTA buffer and suspended in 9 volumes of cold sodium phosphate buffer (10 mM, pH 7.4, containing 320 mM sucrose) and mingled well at 4°C for 20 min. The mixture was then centrifuged at 15000 g for 30 min at 4°C and the pellets were re-suspended in cold sodium phosphate buffer. The protein concentration was estimated by Lowry method using bovine serum albumin. For estimating MAO-A activity, 2.75 mL sodium phosphate buffer (100 mM, pH 7.4) and 100 μL of 4 mM 5-hydroxytryptamine were mixed in a quartz cuvette which was then placed in double beam spectrophotometer (Systronics 2230, Bengaluru, India). This was followed by the addition of 150 μL solution of mitochondrial fraction to initiate the enzymatic reaction and the change in absorbance was recorded at wavelength of 280 nm for 5 min against the blank containing sodium phosphate buffer and 5-hydroxytryptamine. An activity unit was defined as 0.001 absorbance produced by 1 mg protein reaction. So the enzyme activity was expressed as follows. (Zhou et al., 2009). DNA fragmentation studies of frontotemporal cortex of brain: The animals were sacrificed; whole brain was dissected out immediately and stored in RNA later solution at -80°C. The samples were brought to room temperature and used. The isolation of DNA was carried out using QIAGEN DNeasy Blood and Tissue kit, which isolates DNA by coloumn elution method. The samples were first treated with Qiagen lysis buffer and protease K and incubated at 55°C until the tissue was completely lysed. Then, RNase (20 mg mL-1) was added to each sample and incubated at room temperature for 2 min. Next, 180 μL of ethanol and buffer was added to each sample, and the mixture was transferred to a spin column. The columns were centrifuged at 8000 rpm for 1 min and washed twice. The DNA was then eluted from the spin column by centrifugation. 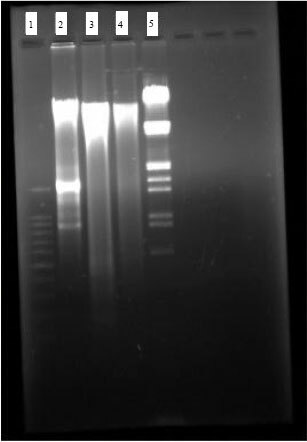 Approximately 4 μL of DNA was loaded in each lane and run at 100 V on a 1% agarose gel stained with ethidium bromide (0.5 mg mL-1). One microgram of DNA standard was run in next lane. Statistics: The data were analyzed statistically using analysis of variance (ANOVA) followed by Tukeys post test. Values are expressed as Mean±Standard errors of mean (SEM). 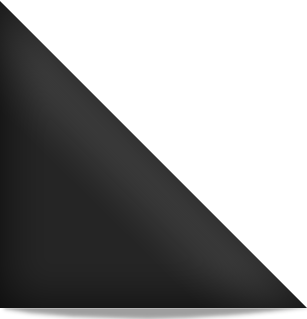 The p<0.05 is considered as significant and p>0.05 were considered as non-significant. Statistical comparisons were performed by Tukeys post test using Graph Pad Prism version 5.0, USA. Effect of TAPH on motor coordination: All the doses of TAPH (5, 2.5 and 1.25 mg kg-1) were found to be non-neurotoxic (p>0.01) and results were comparable to the normal group of animals, hence these selected doses of TAPH do not have any king of impaired motor co-ordination. Diazepam (2 mg kg-1) showed significantly (p<0.01) highest number of falls per 5 min of time (Table 2). Effect of TAPH on locomotion activity: The depressant standard drug Diazepam (2 mg kg-1, i.p.) significantly (p<0.01) reduces the locomotion of animals comparative to normal group of animals. Whereas different doses of TAPH 5, 2.5 and 1.25 mg kg-1 p.o., significantly (p<0.001 p<0.01 and p>0.05) increases the locomotion activity of animals comparative to normal group of animals indicating that these does have dose dependant psychoactive/CNS stimulant activity, respectively (Table 2). Effect of TAPH on sodium nitrite induced intoxication (Hypoxia): In before administration of test/standard drugs of 1st retention test on 15th day all the groups of animal did not show any significant differences in finding the water bottle except hypoxia induced group 2, administered with Sodium nitrite alone, which enhances the time require to find the water bottle significantly (p<0.05) compare to normal group 1. After administration of drugs in 2nd retention test, the hypoxia group 2, significant (p<0.001) increase the time compare to normal group 1. All the doses of TAPH 5, 2.5 and 1.25 mg kg-1. p.o. and standard Piracetam 400 mg kg-1. p.o., groups shown significant p<0.001, p<0.001, p<0.01 and p<0.05 reduction in time to locate the water bottle compare to hypoxia-induced negative group 2, respectively. Group 3 Piracetam per se significantly decreases the time, whereas group 4, TAPH 5 mg kg-1. p.o. per se, even though it reduces the time but it is insignificant (p>0.05) compare to normal group (Fig. 1). Effect of TAPH on ethanol induced neurodegenaration: The effect of Ethanol (Eth) (2.5 g kg-1; i.p.) induced amnesia in mice before training session for elevated plus maze (EPM) and passive shock avoidance (PSA) are represented in Fig. 2 and 3. Furthermore, Ethanol administered mice significantly (p<0.001) increased Transfer Latency (TL) and decreased the Step Down Latency (SDL) compared to normal group of animals in EPM and PSA exteroceptive behavioral models during acquisition and retention trials, respectively. These observations suggested that Ethanol has produced impairment in learning as well as memory. However, Piracetam (Pira) alone and TAPH alone produced significant improvement in memory scores (p<0.001) and (p<0.05) of EPM and PSA respectively as indicated in Fig. 2 of young mice in these behavioral models. Ethanol induced memory deficits were successfully reversed by TAPH 5 mg kg-1 (p<0.001), 2.5 mg kg-1 (p<0.001), 1.25 mg kg-1 (p<0.05) as indicated by decreased TL and increased SDL (Fig. 2 and 3), respectively. Pre-treatment with Piracetam being a standard drug (400 mg kg-1; p.o.) also reversed Ethanol induced memory deficits (p<0.001) as expected in both the models (Fig. 2 and 3). Whole brain acetylcholinestrease (AchE) activity: Ethanol per se significantly (p<0.001) increases AchE activity compared to normal group of animals. Whereas Piracetam per se reduces the activity significantly (p<0.01) and TAPH (5 mg kg-1) alone also reduces the AchE activity but it is insignificant (p>0.05) compare to normal control. On the other hand, administration of Ethanol (2.5 g kg-1, i.p.) increased the brain AchE activity, this was reversed by TAPH in dose dependent manner 5 mg kg-1 (p<0.01), 2.5 mg kg-1 (p<0.05), 1.25 mg kg-1 (p>0.05), which were administered chronically for 14 days. Piracetam (400 mg kg-1; p.o.) being a standard drug, also reversed increased AchE (p<0.001) induced by Ethanol compared to ethanol group of animals (Fig. 4). Whole brain antioxidant studies (GSH and TBARS): Ethanol per se group significantly (p<0.001) decreases GSH and increases (p<0.001) TBARS levels compared to normal group. Per se group of Piracetam and TAPH (5 mg kg-1) increases GSH level significantly (p<0.001) and insignificantly (p>0.05), respectively, whereas in TBARS level these two groups are significantly decreases (p<0.001) and (p<0.05), respectively. Pretreated groups such as piracetam and TAPH of all the doses were successfully reverses (p<0.001) and (p<0.001), except TAPH 2.5 mg kg-1 and TAPH 1.25 were having (p<0.01) and (p<0.05) in GSH (Fig. 5 and 6). Whole brain monoamine oxidase-A (MAO-A) Assay: Sodium nitrite induced Hypoxia group increases the MAO-A activity significantly (p<0.001) compared to the normal group of animals. Whereas pre-treated doses of TAPH (5, 2, 5 and 1.25 mg kg-1, p.o.) significantly (p<0.001) (p<0.01) and (p<0.01) reverses the elevated MAO-A activity induced by Sodium nitrite respectively in dose dependent manner (Table 3). This inhibitory effect of TAPH reduce the metabolism of epinephrine and other monoamines, consequently increases the level of epinephrine and activates adrenergic system, which could play an important role in regulation of learning and memory. DNA fragmentation studies of frontotemporal cortex of brain by Gel Electrophoresis: The isolation of DNA from frontotemporal cortex of different experimental group of animals was subjected to 1 % agarose Gel electrophoresis. Lane 1 shows the laddering pattern of standard 100 bp DNA. Lane 2 indicates normal laddering pattern of DNA from Normal group of animal. Lane 3 shows oligointranucleosomal DNA fragmentation and distinct laddering pattern in hypoxia induced frontotemporal cortex. Lane 4 shows decreased intranucleosomal DNA fragmentation in Hypoxia+TAPH (5 mg kg-1) treated animals. Lane 5 shows standard Bam H fragmented DNA, to compare the presence of Genomic DNA. In hypoxia induced neurodegenerative disorder, prominent apoptosis and DNA fragmentation occurs. This study reveals the information regarding the effect of sodium nitrite induced Hypoxia on fragmentation of DNA and laddering pattern in frontotemporal cortex, Fig. 7. The neurotoxicity of any compound is easily reflected by its muscular incordination and hence Rota rod test is being usually recommended to study the impaired motor coordination. In this present study all the doses of TAPH 5, 2.5 and 1.25 mg kg-1 did not produced any kind of impaired motor coordination by reduction in the number of falls, hence ruled out the possible neurotoxic effect of a total alkaloid extract of Peganum harmala. The psycho-activeness of TAPH 5, 2.5 and 1.25 mg kg-1 might be due to its antidepressant effect, which was in seen in actophotometer model by increasing the locomotion activities of animals, hence this psychoactive/antidepressant effect might be due to its MAO-A inhibition effect of TAPH (Babar and Qureshi, 1995). Memory impairment by sodium nitrite is similar to memory impairment in aged mice (Martinez et al., 1979; Schindler et al., 1994) which involve the impairment of Ach synthesis in brain (Gibson and Duffy, 1981). The evidences can be obtained from the various experiments conducted on animals that were exposed to a learning paradigm in hypoxic condition (Gibson and Duffy, 1981; Gibson et al., 1981). Hence learning impairment of mice in sodium nitrite induced hypoxia may be due to loss of Ach in central cholinergic system, which was revered by anticholinestrase action of TAPH as proved in the anticholinestrease model of the present study. Ethanol is well-known for its ability to impair learning and memory. However, the neurobiological mechanisms underlying these effects are yet to be elucidated. It has been proposed that acute ethanol administration impairs specific types of learning and memory based upon research results from a variety of fields including molecular biology, neuropharmacology and behavioral pharmacology. The majority of these investigations have demonstrated that ethanol interacts with specific brain regions thereby impairing specific types of learning and memory. Mounting evidence suggests that cognitive processes dependent on the hippocampus and related brain structures are particularly vulnerable to the deleterious effects of ethanol (Silversa et al., 2003). With respect to above mechanism the ethanol impairs the learning capabilities and retention of memory of mice in behavioral memory such as EPM and PSA, this impaired cognition effect were reversed by standard Piracetam and TAPH of all the doses in dose dependant manner. Animal studies has revealed that alcohol has been found to reduce the number of cholinergic neurons in the basal forebrain leading to reduced hippocampal function, a structure heavily implicated in memory consolidation (Devi and Ramasubramaniaraja, 2009). Central cholinergic system is considered as the most important neurotransmitter involved in regulation of cognitive functions. Cholinergic neuronal loss in hippocampus area is the major feature of AD and enhancement of central cholinergic activity by use of anticholinesterase is presently the mainstay of the pharmacotherapy of dementia in AD (Guacobini, 1990; Nordberg and Svensson, 1998). TAPH and Piracetam successfully reversed the elevated cholinesterase activity of ethanol; hence TAPH may be an effective anticholinesterase agent which influences the cholinergic activity of brain responsible for enhancing cognitive performance. Oxidative stress is implicated as one of the primary factors that contribute to the development of Neurodegenerative diseases like, Alzheimers, Parkinsonism and neurological conditions like epileptic seizures, stroke, brain damage, neurotrauma, hypoxia etc (Srinivasan, 2002). Oxidative stress is indicated by increased in TBARS and decreased in GSH levels as seen in ethanol group of animals comparative to normal group of animals indicating that decrease in the antioxidant enzymatic activity (Behl, 1999; Pratico, 2008). This decreased antioxidant activity was significantly increased by standard piracetam and TAPH in dose dependant manner by increasing the level of GSH and decreasing the level of TBARS. The different alkaloids of Peganum harmala have been shown to be monoamine oxidase inhibition (MAO-I). MAO-I can stimulate the central nervous system by inhibiting the metabolism of epinephrine, serotonin and other monoamine. This inhibition of the break-down of serotonin in the human body makes MAO-I effective antidepressants and psychoactive (Babar and Qureshi, 1995). Harmal content of Peganum harmala plant enhances the action of epinephrine. The isolated harmal alkaloids from the seeds of Peganum harmala (TAPH) found to be significant MAO-A inhibition action, hence stimulates the central nervous system and enhance the activities of epinephrine and other monoamines. In the CNS, adrenergic system is comprised of several brainstem nuclei that, when activated, release nor epinephrine and epinephrine in many regions of the brain, supporting the hypothesis suggesting that the adrenergic system plays a role in learning and memory (Murchison et al., 2004). Oligointernucleosomal DNA fragmentation can be demonstrated biochemically with the help of Gel Electrophoresis, when apoptotic bodies are detectable in only a small fraction of cells (Collins et al., 1992). DNA electrophoresis may provide biochemical evidence of oligointernucleosomal DNA fragmentation but is subject to problems of sensitivity. A number of factors may affect the results of studies of apoptosis. Recent evidence shows that genetic differences among strains of animals alter the susceptibility to excitotoxic insult (Schauwecker and Steward, 1997). One possibility is that younger animals display apoptosis more readily than mature animals. This may be a feature of the developing brain because many components of the cell cycle that are highly expressed in developing organs participate in apoptosis. In fact, experimental evidence suggests that the stage of the cell cycle may influence apoptosis. Features of apoptosis are present in the described model of cerebral hypoxia-ischemia, apoptosis may represent a mode of ischemic cell death that could be the target of novel treatments that could potentially expand the therapeutic window for cerebroprotection (Pulera et al., 1998; Ellerby et al., 1997). The results of the present study finally reveals the cerebroprotective effect of the isolated total alkaloid extract of Peganum harmala (TAPH) by its antioxidant characteristic in ethanol influenced oxidation by increasing the GSH and decreasing the TBARS level in whole brain, which delays the neurodegenerative process. It acts as a good anticholinestease agent, who influences the activity of Ach in the brain and enhance the cognitive performance of mice in EPM and PSA paradigm. The cerebroprotective effect of TAPH was further adorned by its MAO-A inhibitory action, by which it influences the effects of epinephrine and other monoamines. TAPH prevented the DNA fragmentation of frontotemporal cortex of the brain by decreasing in the intranucleosomal DNA fragmentation and lowering the laddering pattern. Hence, all these preventive measure of harmal alkaloids of seeds of Peganum harmala are potential enough in the management of Neurodegenerative disorders of the type Alzheimers diseases. The authors are thankful to the Principal Dr. N.V. Kalyane B.L.D.E.As College of Pharmacy, Bijapur and the Principal Dr. V.H. Kulkarni, S.E.Ts college of pharmacy, Dharwad for providing the necessary facilities to carry out the experimental study. Authors are also sincerely thankful to Dr. S. S. Hebbar. Department of Botany, Karnataka University Dharwad (KUD) Dharwad for identification and authentification of seeds of Peganum harmala. Dr. P B Gai, Principal investigator and Head Department of Research center for DNA diagnostics, KUD, Dharwad for guiding the interpretation studies of DNA fragmentation. ADI, 2010. World Alzheimer report 2010: The global economic impact of dementia. Alzheimer's Disease International, London. http://aarpintorg.stage.bridgelinedigital.net:8020/resources/resources_show.htm?doc_id=1392905. Babar, M.K. and Z. Qureshi, 1995. A study of effects of harmidine on C.N.S. of animals. Pakistan J. Pharm. Sci., 8: 23-37. Behl, C., 1999. Alzheimer's disease and oxidative stress: Implications for novel therapeutic approaches. Progr. Neurobiol., 57: 301-323. Blazer, D.G., C.F. Federspiel, W.A. Ray and W. Schaffner, 1983. The risk of anticholinergic toxicity in the elderly: A study of prescribing practices in two populations. J. Gerontol., 38: 31-35. Bullock, R., 2004. Future directions in the treatment of Alzheimer's disease. Expert Opin. Invest. Drugs, 13: 303-314. Burns, A. and J. O'Brien, 2006. Clinical practice with anti-dementia drugs: A consensus statement from British association for psychopharmacology. J. Psychopharmacol., 20: 732-755. Collins, R.J., B.V. Harmon, G.C. Gobe and J.F. Kerr, 1992. Internucleosomal DNA cleavage should not be the sole criterion for identifying apoptosis. Int. J. Radiat. Biol., 61: 451-453. Cumin, R., E.F. Bandle, E. Gamzu and W.E. Haefely, 1982. Effects of the novel compound aniracetam (Ro 13-5057) upon impaired learning and memory in rodents. Psychopharmacolology, 78: 104-111. Devi, P.B. and R. Ramasubramaniaraja, 2009. Dental caries and medicinal plants-an overview. J. Pharm. Res., 2: 1669-1675. Dhwaj, A.V. and R. Singh, 2011. Reversal effect of Asparagus racemosus Wild (Liliaceae) root extract on memory deficits of mice. Int. J. Drug Dev. Res., 3: 314-323. Ellerby, H.M., S.J. Martin, L.M. Ellerby, S.S. Naiem and S. Rabizadeh et al., 1997. Establishment of a cell-free system of neuronal apoptosis: Comparison of premitochondrial, mitochondrial and postmitochondrial phases. J. Neurosci., 17: 6165-6178. Farzin, D. and N. Mansouri, 2006. Antidepressant-like effect of harmane and other β-carbolines in the mouse forced swim test. Eur. Neuropsychopharmacol., 16: 324-328. Gibson, G.E. and T.E. Duffy, 1981. Impaired synthesis of acetylcholine by mild hypoxic hypoxia or nitrousoxide. J. Neurochem., 36: 28-33. Gibson, G.E., W. Pulsinelli, J.P. Blass and T.E. Duffy, 1981. Brain dysfunction in mild to moderate hypoxia. Am. J. Med., 70: 1247-1254. Guacobini, E., 1990. Cholinergic system in Alzheimer's disease. Prog. Brain Res., 84: 321-334. Hanumanthacahar, J. and P. Milind, 2005. Effects of piperine on memory and behavior mediated via monoamine neurotransmitters. J. Tradit. Med., 22: 39-43. Jain, N.N., C.C. Ohal, S.K. Shroff, R.H. Bhutada, R.S. Somani, V.S. Kasture and S.B. Kasture, 2003. Clitoria ternatea and the CNS. Pharmacol. Biochem. Behav., 75: 529-536. Joshi, H. and M. Parle, 2006. Nardostachys jatamansi improves learning and memory in mice. J. Med. Food, 9: 113-118. Martinez, J.L., R.A. Jensen, B. J. Vasquez, J.S. Lacob, J.L. McGaugh and R.E. Purdy, 1979. Acqisition deficits induced by sodiumnitrite in rats and mice. Pschychopharmacology, 60: 221-228. Monsef, H.R., A. Ghobadi, M. Iranshahi and M. Abdollahi, 2004. Antinociceptive effects of Peganum harmala L. alkaloid extract on mouse formalin test. J. Pharm. Pharmaceut. Sci., 7: 65-69. Moron, M.S., J.W. Depierre and B. Mannervik, 1979. Levels of glutathione, glutathione reductase and glutathione S-transferase activities in rat lung and liver. Biochimica Biophysica Acta (BBA)-Gen. Subj., 582: 67-78. Murchison, C.F., X.Y. Zhang, W.P. Zhang, M. Ouyang, A. Lee and S.A. Thomas, 2004. A distinct role for Norepinephrine in memory retrieval. Cell, 117: 131-143. Nordberg, A. and A.L. Svensson, 1998. Cholinesterase inhibitors in the treatment of Alzheimer's disease: A comparison of tolerability and pharmacology. Drug Safety, 19: 465-480. Parle, M. and N. Singh, 2004. Animal models for testing memory. Asia Pac. J. Pharmacol., 16: 101-120. Pratico, D., 2008. Oxidative stress hypothesis in Alzheimer's disease: A reappraisal. Trends Pharmacol. Sci., 29: 609-615. Pulera, M.R., L.M. Adams, H. Liu, D.G. Santos and R.N. Nishimura et al., 1998. Apoptosis in a neonatal rat model of cerebral hypoxia-ischemia. Stroke, 29: 2622-2630. Rogers, S.H., M.R. Farlow, R.S. Doody, R. Mohs and L.I. Friedhoff, 1998. A 24-week, double blind, placebocontrolledtrial of donepezil in patient's withAlzheimer's disease. Neurology, 50: 136-145. Sastry, J.L.N., 2007. Madhava Nidanam (Roga Viniscaya) of Madhavakara (A Treatise on Ayurveda). Chaukhambha Orientalia Varanasi, USA., Pages: 278. Schauwecker, P.E. and O. Steward, 1997. Genetic determinants of susceptibility to excitotoxic cell death: Implications for gene targeting approaches. Proc. Natl. Acad. Sci. USA., 94: 4103-4108. Scheuer, K., A. Rostock, R. Bartsch and W.E. Muller, 1999. Piracetam improves cognitive performance by restoring neurochemical deficits of the aged rat brain. Pharmacopsychiatry, 32: 10-16. Schindler, U., D.K. Rush and S. Fielding, 1994. Nootropic drugs: Animal models for studying effects on cognition. Drug Dev. Res., 4: 567-576. Silversa, J.M., S. Tokunagaa, R.B. Berrya, A.M. Whiteb and D.B. Matthewsa, 2003. Impairments in spatial learning and memory: Ethanol, allopregnanolone and the hippocampus. Brain Res. Rev., 43: 275-284. Slater, T.F. and B.C. Sawyer, 1971. The stimulatory effects of carbon tetrachloride and other halogenoalkanes or peroxidative reactions in rat liver fractions in vitro. General features of the systems used. Biochem. J., 123: 805-814. Srikumar, B.N., K. Ramkumar, T.R. Raju and B.S. Shankaranarayana Rao, 2004. Assay of Acetylcholinesterase Activity in the Brain. In: Brain and Behavior, Raju, T.R., B.M. Kutty, T.N. Sathyaprabha and B.S. Shanakranarayana Rao (Eds.). National Institute of Mental Health and Neurosciences, Bangalore, India, pp: 142-144. Srinivasan, V., 2002. Melatonin oxidative stress and neurodegenerative diseases. Ind. J. Exp. Biol., 40: 668-679. Tse, S.Y.H., I.T. Mak and B.F. Dickens, 1991. Antioxidative properties of harmane and β-carboline alkaloids. Biochem. Pharmacol., 42: 459-464. Turner, R.A., 1972. Screening Procedure in Pharmacology. Vol. 1, 1st Edn., Academic Press, Noida, India. Vasudevan, M. and M. Parle, 2006. Pharmacological action of Thespesia populnea relevant to Alzheimer's disease. Phytomedicine, 13: 677-687. Wimo, A., B. Winblad and L. Jonsson, 2010. The worldwide societal costs of dementia: Estimates for 2009. Alzheimer`s Dementia, 6: 98-103. Yoganarasimhan, S.N., 1996. Medicinal Plants of India: Karnataka. Vol. 1, Interline Publishing, India, ISBN: 9788172960568, Pages: 237. Yousuf, S., S. Salim, M. Ahmad, A.S. Ahmed, M.A. Ansari and F. Islam, 2005. Protective effect of Khamira Abresham Uood Mastagiwala against free radical induced damage in focal cerebral ischemia. J. Ethnopharmacol., 99: 179-184. Zhou, R., J. Wang, S. Li and Y. Liu, 2009. Supercritical fluid extraction of monoamine oxidase inhibitor from antler velvet. Sep. Purif. Technol., 65: 275-281.